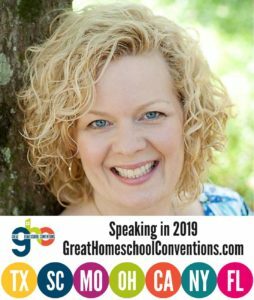 Long before I was asked to speak at the Great Homeschool Conventions I was an attendee. In fact, convention time each year made me rather giddy. I almost always went with friends. We would make a road trip and a weekend of it. 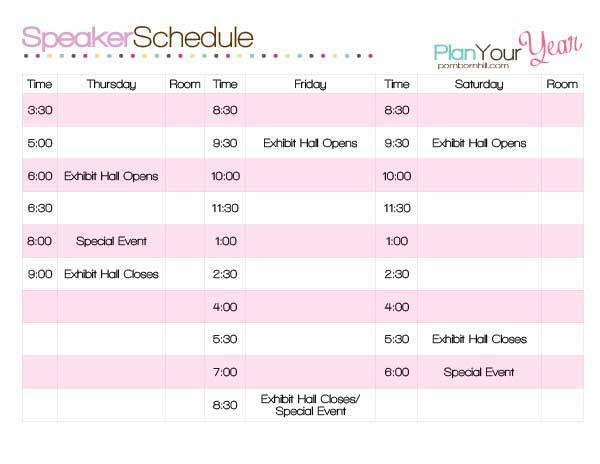 I would plot my speaker schedule like a general manages an attack, walk every single aisle of the vendor hall just to make sure I didn’t miss anything, and I still have my rolling cart which held everything from water bottles to emergency snacks. And I just learned so much and felt renewed and refreshed every single year. This year I imagine my experience at the convention will be much more, um, nerve-wracking to say the least, but I can not wait to meet all of you there. In order to make the most of your convention experience I have made a little Plan Your Year Convention Planning Pack that you can get here for FREE. It contains the forms you need to plan your best convention experience. 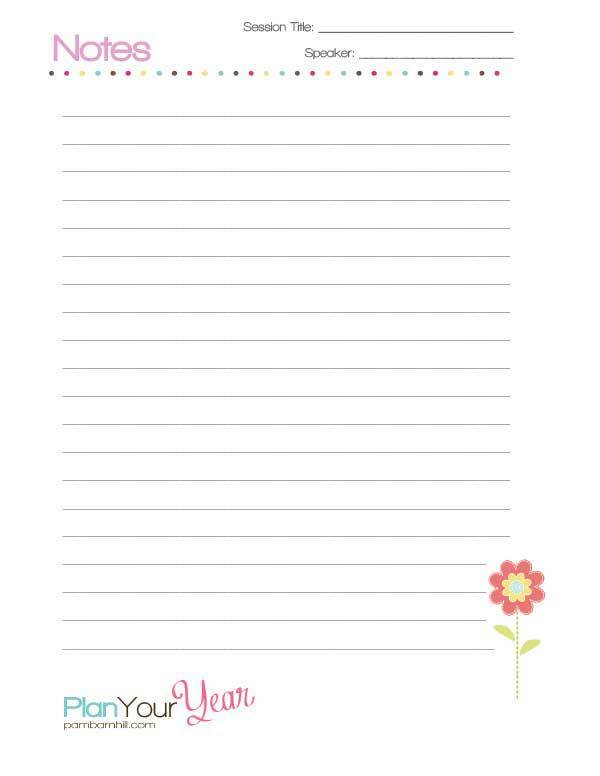 We even suggest that you make a convention binder to hold all of your important information. Here’s how you do that. The most important thing to do before you head off to the convention is to make sure you have your homeschool vision handy. If you already have a vision, now is the perfect time to dust it off, read it again, and tweak it if necessary. 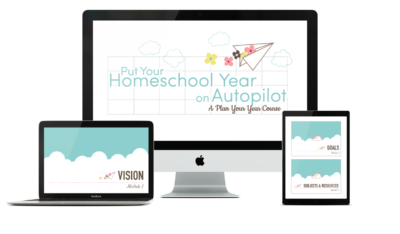 If you do not have a homeschool vision then you can use this short webinar to help you get started making one. 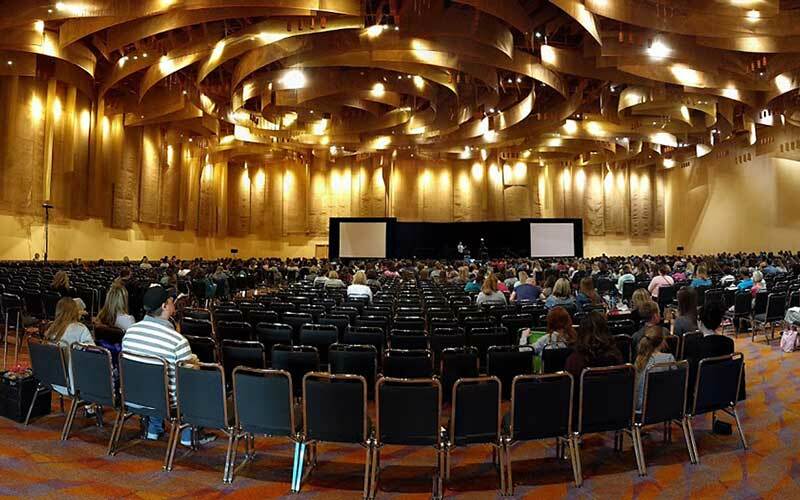 A vision is an important tool for a conference because it reminds you of what is important in your homeschool. This keeps you from going off willy-nilly and blowing your budget on new, shiny curricula that really don’t line up with what you are trying to accomplish. 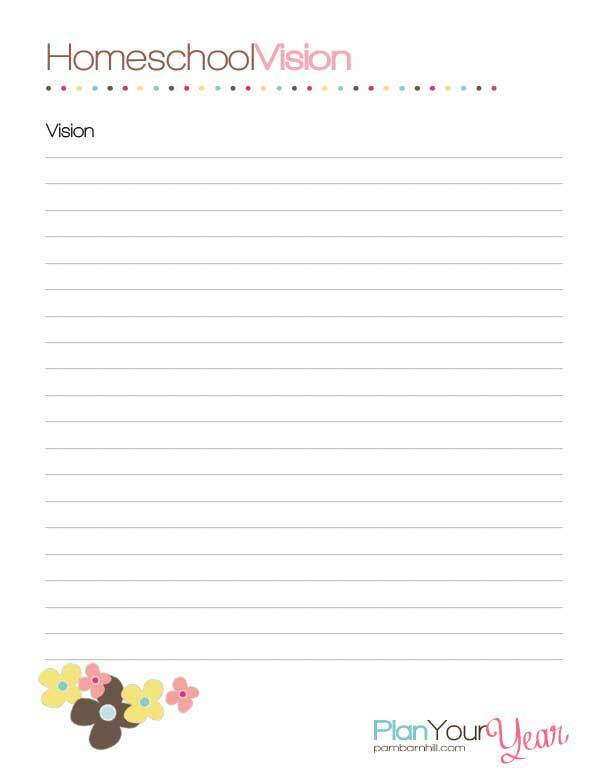 I recommend you take the vision with you so that you can refer back to it whenever you need to. Speaking of budget, it is good to get an idea before you go of what you want to spend while at the convention. It is easy to go over budget by a lot (ask me how I know). So take a few minutes to write down your proposed spending. This should actually come in under your total budget because you should always leave room for things you find that are awesome, and you may not have considered before. Leave room in your budget for a little fun. Now when you get to the convention use the tracker to record your spending and keep a running total. Those three days can become a blur of what did I buy and how much did I spend? Don’t be surprised at the end. First, highlight all of those talks that are “must-sees” for you — might I suggest all of mine ;-). Highlight those in one color and go ahead and plug them into your schedule. Next, go through and highlight in a second color all the talks that you would like to see but you would be okay getting the audio for. And remember, when contemplating audio versus in-person, there will be some people you want to see because of who they are, but there will be some talks you know you will want to listen to again and again. That sometimes helps make the decision for me. Once your second-tier talks are highlighted then look at your schedule. There are a few factors to consider. First, there are no lunch breaks at the convention. If you want to eat, then you have to carve the time out to do it. So you might determine how eating breaks fit around your must-see talks. Also, you will likely want to spend some time perusing the exhibit hall. Block out some time to do this as well. You don’t want to be rushed when chatting with curriculum writers or making a purchase. Once you have considered all of those factors, then fill in your extra speaker spots. And do it in pencil. Mine almost always changed once I got to the convention. There are a few benefits to shopping at the convention. First of all, many of your curriculum writers or publishers are in attendance. This is the perfect chance to get to ask how to award a high school credit for their curriculum or how to adapt it to use with gifted kids or a wide age-range. Many companies also staff their booths with long-time users as well. That way you also get a chance to chat with moms who have used the curriculum in their own homes. They want you to ask them questions! This is not the time to get tongue-tied or fangirl so much you can’t speak. Nobody knows Math-U-See like Steve Demme or IEW Units like Andrew Pudewa. Ask them! You can learn so much by going to a convention. And while online samples are great these days, nothing beats flipping through and looking at every chapter of a book. Do this. Take your time before you make a big financial investment. Grab a sample, sit down, and don’t be rushed. The biggest thing is not to be overwhelmed by the vendor hall. Just because it is there doesn’t mean that you have to see every booth. You don’t even have to hit every aisle. 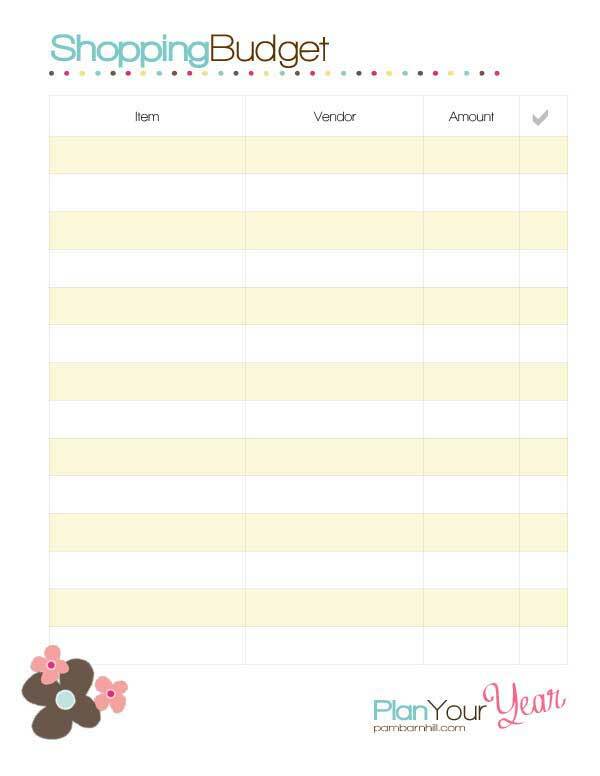 Use your shopping planner and the vendor map in your program to put an X on the places you want to see and then stop at other places that catch your attention. Other than that smile and walk by with confidence as you think “I don’t need that. It doesn’t fit in my vision” at this year’s convention. You can be proud to be confident in your homeschool. The convention is not a fashion show. They give out no awards for the most stylish outfit (though I have heard they are contemplating a “Headband Award” for the cutest hair 😉 ). For the love of all that’s holy wear comfortable shoes!! Your feet will thank you. And do wear a couple of layers. Some rooms will be chilly and you will be thankful to have that sweater. 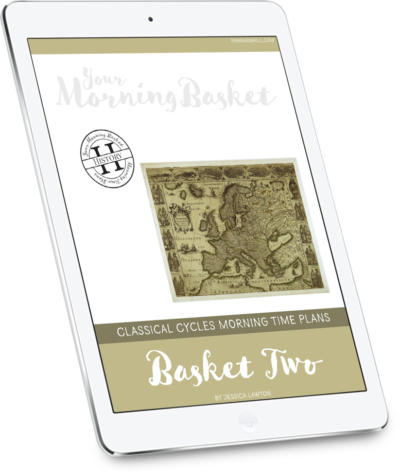 You need a big Mary Poppins bag with wide straps or a rolling cart. There are advantages and disadvantages to each. The cart can be bulky, but it will save your shoulders, provide plenty of room, and you can sit down on it when you need a place to plant for a while. The bag is easier to maneuver, but then you might want to save heavier purchases towards the end of the day or at a time you can run them back to a car or hotel room. Take a water bottle. Water at the convention centers is at least $3 a bottle. But be sure you have a place to pack any water bottle separate from electronics — even just a separate pocket. I ruined a good iPod at a convention one year. Throw some snacks in as well. Think about lunch (and dinner). Lunch at the convention centers will be pricey but sometimes it is worth the hassle of leaving just to budget for it and stay and eat there. Also, if it is a Friday in Lent your choices will be extremely limited. 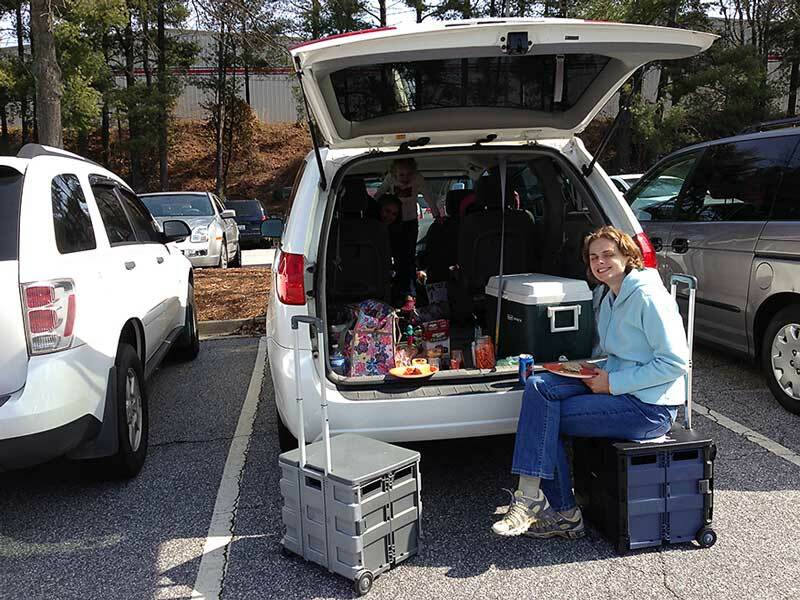 I have only attended the Greenville convention, but I have tailgated at that one a couple of times. We would pack a sandwich in a cooler and set up in a grassy spot outside. I am not certain all of the convention centers are set up for this method and you are at the mercy of the weather, but it can work and it is kind of pleasant to be outside for a while. I have always said that convention is what you make it. If you take the time to craft the convention experience that suits you best, then you will get so much out of it and will want to go back year after year. Be sure to stop by and see me when you come. 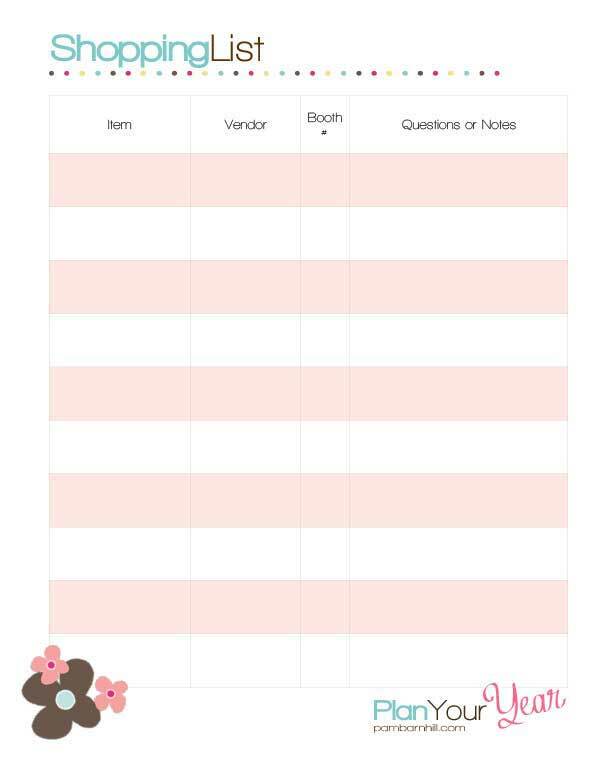 Want our FREE pack of Plan Your Year Convention Planning Forms? Just enter your email below and we will send them right over! 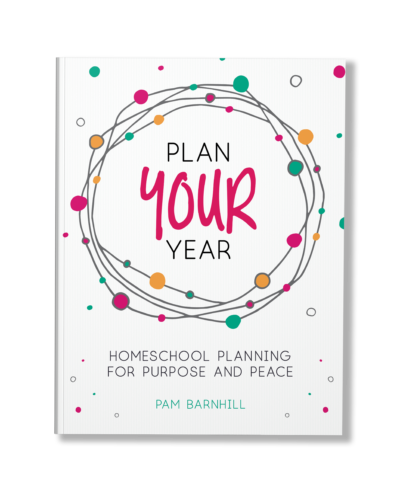 Use this kit to get the most from your homeschool convention visit. 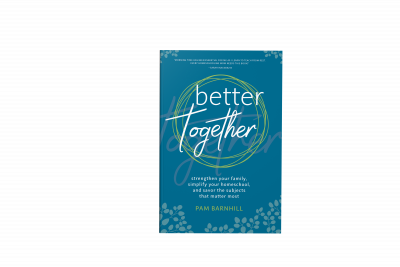 Thanks, Pam – this is a wonderful post! Great tips and I really appreciate the forms. We enjoyed all your talks and the wonderful folks at your booth. The Giant Cow was a bust and bad experience, but your team were shining stars! We really enjoyed all your talks, such as the 6 homeschool hacks, and we loved connecting with you and your team at the booth. Thanks for supporting homeschool moms and offering so much to us! This is so helpful! Thank you! This will be my first convention and I’m trying to figure out my spending budget. How much does it cost to buy a recording of the session? There are several I want to listen to that are going at the same time. They are $6 each or 10 for $49. And the people at Rhino Technologies who run the audio are the sweetest family ever.